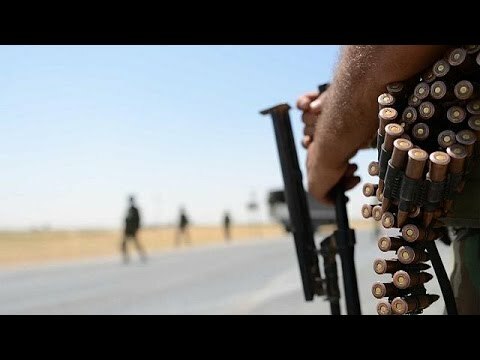 Iraq: Is al-Maliki Preparing to Make a Coup? Nouri al-Maliki, who is seeking a third term as prime minister of Iraq in the teeth of widespread opposition, abruptly began acting like a strongman on Sunday night. He went on television to denounce President Fuad Masoum for not having appointed a prime minister yet, even though Sunday was the constitutional deadline for him to do so. More disturbing, al-Maliki’s police and special forces mobilized throughout Baghdad to secure government buildings, man checkpoints, and close key bridges. Al-Maliki is having the security forces behave as though the real threat has yet to materialize. Iraqi security forces took up positions at the presidential palace, as well as around the Green Zone, the area of downtown Baghdad that is surrounded by blast walls. Most embassies are in the Green Zone, and that is where Parliament meets. When I was there a little over a year ago, the Green Zone (surrounded by blast walls) did not seem to me all that well guarded, and we now know that the new Iraqi army has a tendency to run away at any sign of trouble. Al-Maliki has kept the Iraqi army from being very efficient, which political scientists call “coup-proofing,” i.e. making sure that an ambitious officer doesn’t have a platform in the military to just take over. But al-Maliki has also arranged for most senior officers to report directly to him, limiting their independence of action. Al-Maliki went on television Sunday to denounce President Fuad Massoum for contravening the constitution by dawdling and by declining to appoint a new prime minister. President Masoum seems convinced that he should not appoint al-Maliki to a third term, given that al-Maliki has alienated the Sunnis and even some major Shiite blocs are hostile to him. Al-Maliki for his part appears to have calculated that now is the time to shoe-horn himself into power for another four years. He has discounted the opposition of the Kurds to his serving another term, since Kurdistan itself is now under attack by the vicious so-called “Islamic State,” and has suffered reversals at the hands of the radicals. Kurdistan, a federal region of Iraq, is not presently in a position to dictate who the prime minister will be in Baghdad. Likewise, the Sunni Arab members of parliament have been marginalized by the defection of their home provinces to the “Islamic State.” Some of the Shiite blocs has moved away from him, but they do not have the popularity in parliament that Da`wa does. The irony, of course, is that al-Maliki is basically fiddling as Rome burns, dependent for his political position on political calculations that are themselves irrelevant to the advance of lean, hungry militiamen.